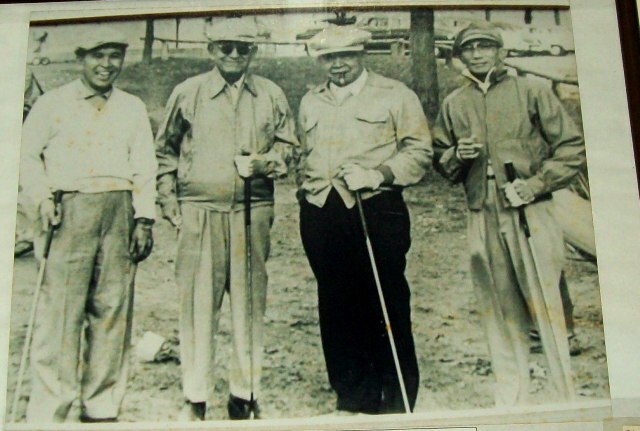 The golfmates at Wack-Wack from left to Gregorio Licaros, Sen. Francisco Delgado, Sen. Laurel and Gov. 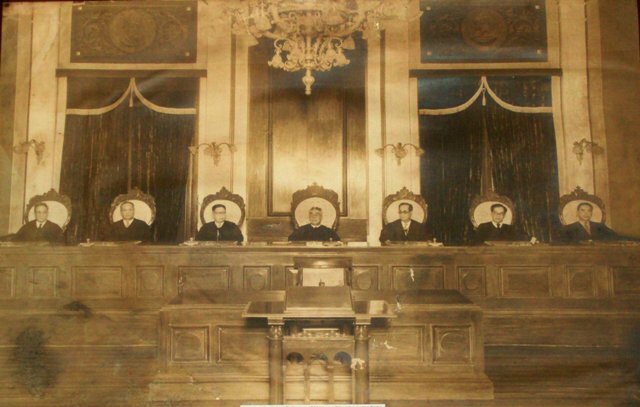 Miguel Cuaderno. 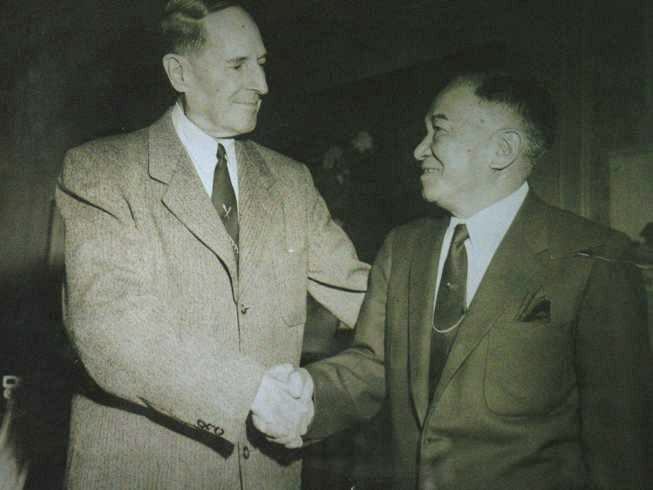 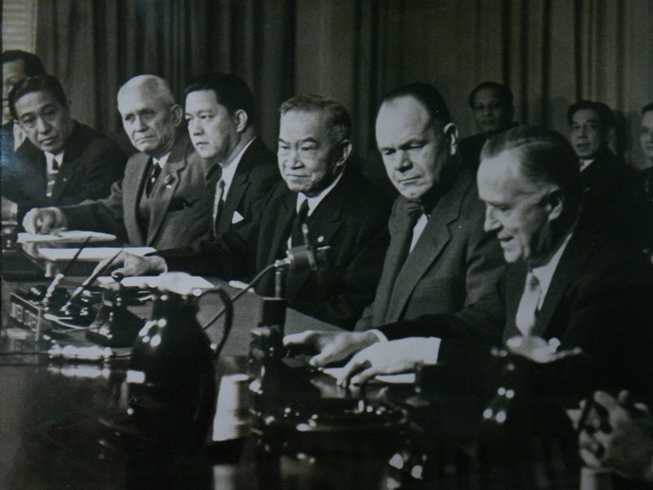 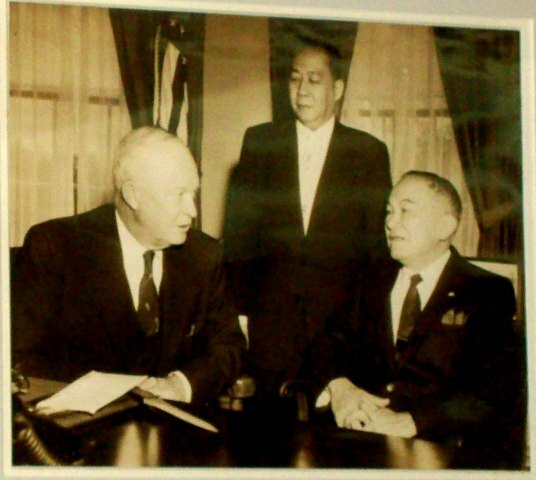 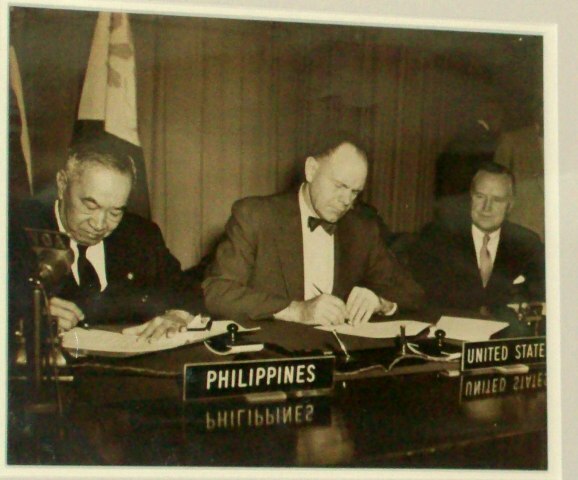 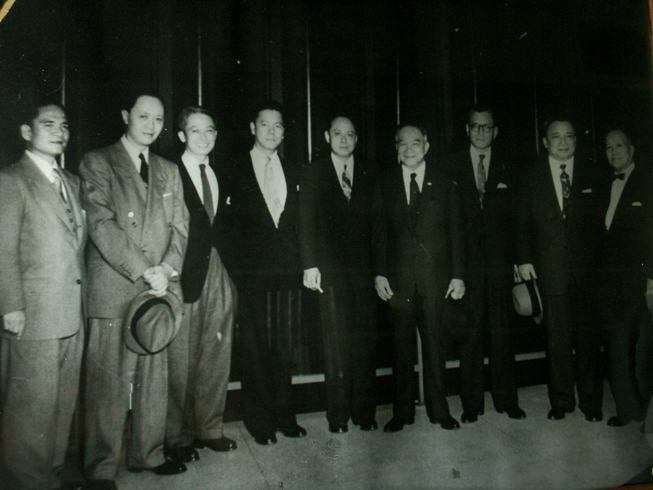 Some Delegates of the Philippine Economic Mission (PEMUS) to the United States, with Senator Jose P. Laurel as Chief Negotiator in October 1954. 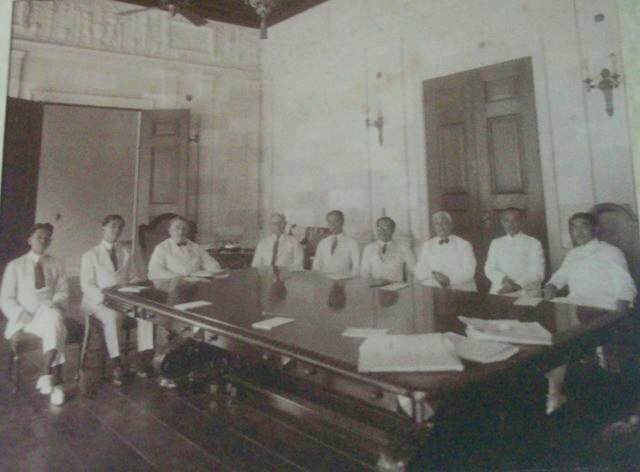 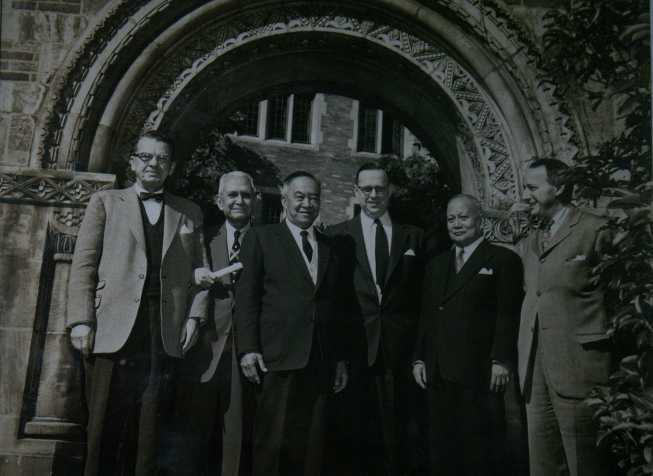 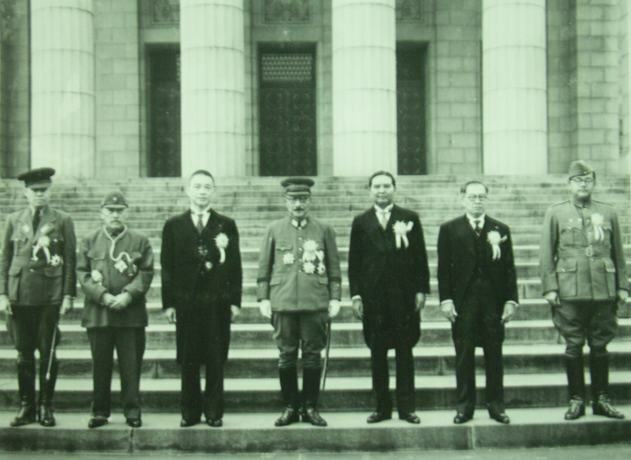 Shown 2nd from left: Ingles, Dr. Jose P. Laurel, Sec. 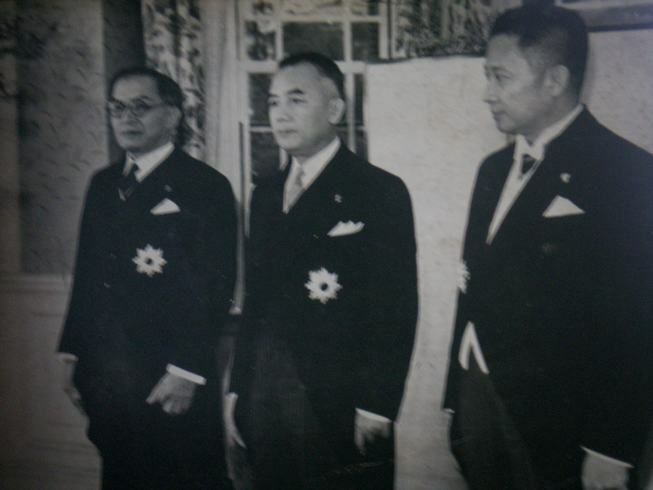 Felixberto Serrano, Sen. Pedro R. Sabido and Antonio delas Alas. 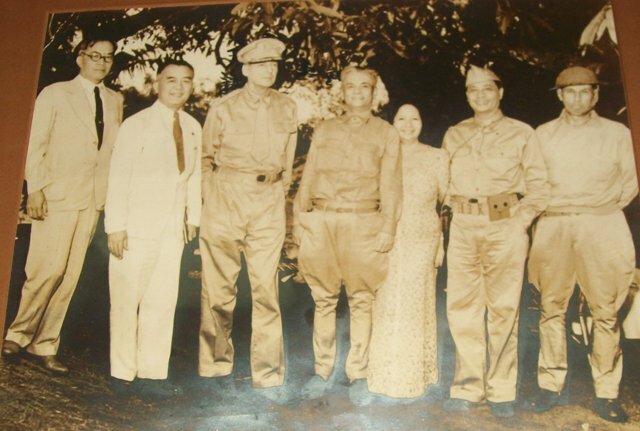 President Laurel with Jorge Vargas and Benigno Aquino, Sr.
Dr. Jose P. Laurel with retired General Douglas MacArthur in 1954.